My sister is back in Wales! This makes me very happy, as today is our unofficial Christmas Eve. We spent the day as a full family playing quizzes, eating ham and enjoying trickster scrabble. I then headed into down to meet up with David, who I lived with in Newport for two years. 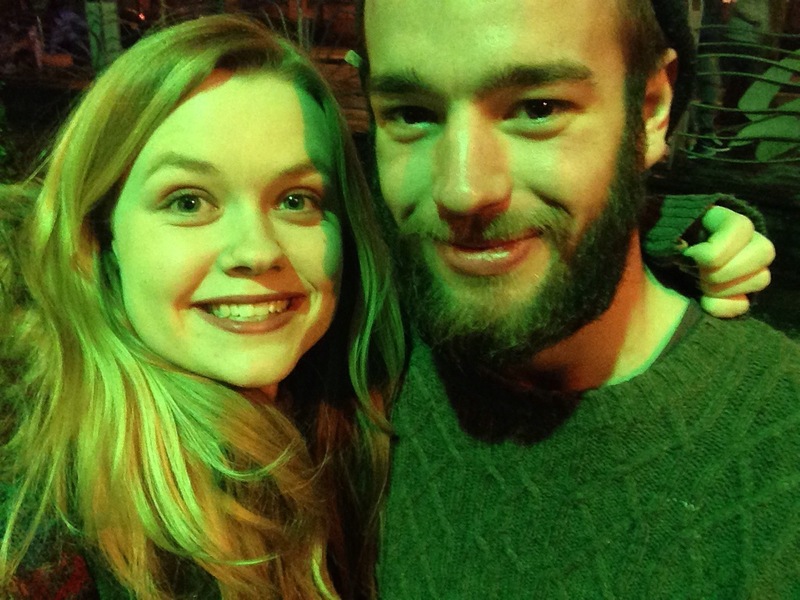 Always a delight, it was fantastic to cuddle his beardy face again. Then onto seeing Alyx! My wonderful best friend from high school and uni, who gave me a fantastic present of a customised wine glass – so good that I forgot to take a selfie of us! Poor form. Fantastic day though, I am loving being home! !